If you use Autodesk Inventor, you may see generic icons for its files instead of thumbnails in Opus. 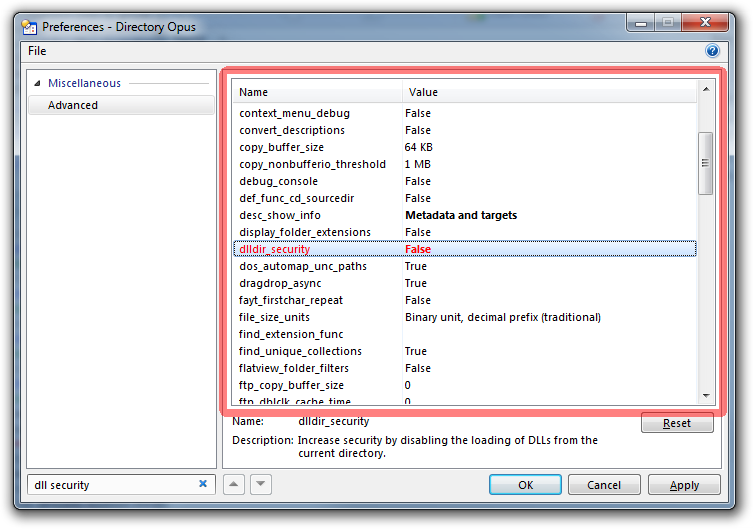 If you wish, you can disable the increased security so that Autodesk Inventor thumbnails work within Opus. To do so, go to Settings -> Preferences / Miscellaneous / Advanced, set dlldir_security to FALSE and then reboot.